Data-driven marketing - three words that set a challenge for marketers and publishers alike, yet offer incredible opportunities at the same time. The sheer scale of the data available to businesses is daunting, hence the challenge to manage and make sense of this data is ever-more critical. 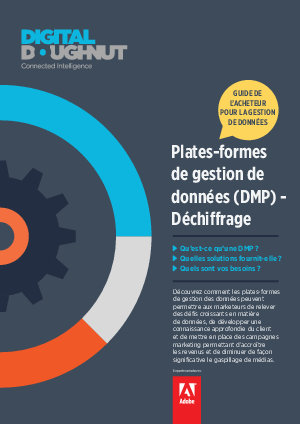 What are the benefits of DMPs? Is DMP right for you? Download this guide now to discover how data management platforms can enable marketer to tackle growing data challenges, create powerful customer insights and set up marketing campaigns that increase revenues and significantly decrease media wastage.